I've reviewed all of Anker's projectors so far, and my most pressing complaint across all of them has been the software experience. All previous models ran a heavily-modified build of normal Android, and no matter how much Anker polished it, running smartphone apps on a device without a touch screen was never going to work well. Thankfully, the Capsule II runs the actual Android TV operating system (version 9 Pie). No more sketchy Aptoide app store — you get the Play Store loaded with thousands of TV-optimized applications. Google Assistant is also present, accessible via the remote's embedded microphone. The Capsule works as a Cast receiver too, like other Android TV devices. Anker has also made several improvements to the hardware. The projection resolution has jumped from 854x480 to 1280x720, the brightness has doubled to 200 ANSI lumens, and the microUSB port has been replaced with a Type-C connector. Charging now works over USB Power Delivery (USB-PD), instead of Qualcomm Quick Charge. Finally, the internal speakers have been improved, with 50% larger driver enclosures to ensure deeper bass. Now that Anker has finally adopted Android TV, and thrown in a few hardware improvements to boot, the Capsule II easily blows away other Android-based pico projectors. It's available now on Kickstarter, at an early bird price of $369 (retail price will be $599). You can back it from the source link below, and Anker estimates it will begin shipping in May 2019. New York, NY. October 25, 2018 – Anker Innovations today unveiled Nebula Capsule II, its next generation pocket cinema. 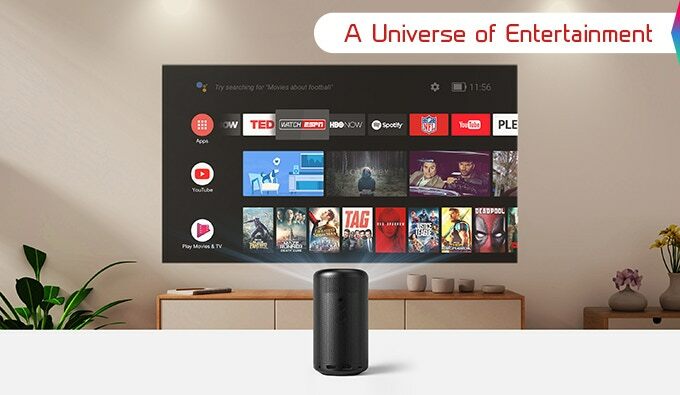 Capsule II comes with the same compact and soda-can inspired design as its predecessor, but adds a host of new capabilities including Android TV, Google Assistant, HD picture quality, improved audio and more. An Updated Experience Nebula Capsule’s sleek, black cylindrical body measures in at 5.9 inches high and can be easily transported in the included carrying sleeve. Capsule II has also gone through an internal upgrade and is now able to project a 720p image at 200 ANSI lumens. 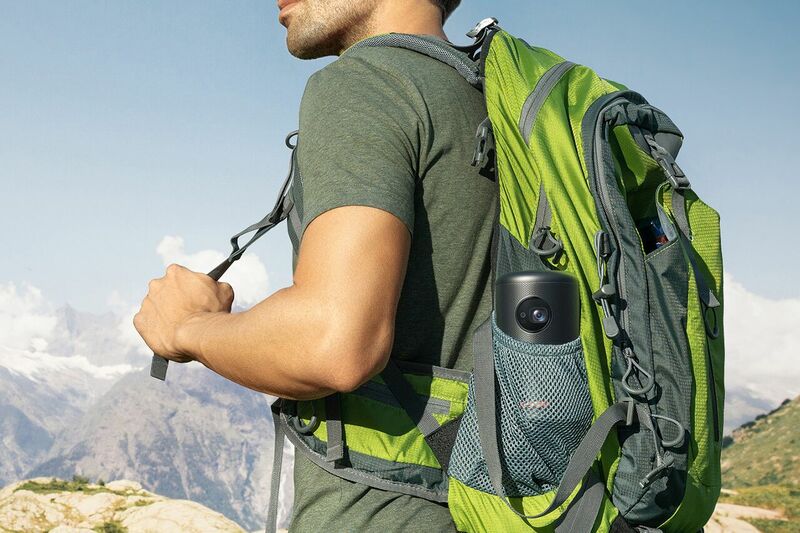 Capsule provides 3-hours of video playtime or 30 hours of Bluetooth speaker on a single charge. Leveraging Anker’s Power Delivery technology, Capsule II can charge to full power in 2.5 hours via USB-C.
“Hey Google, Show Me A Movie.” Android TV brings great content to you, so you can spend less time browsing and more time watching. Just pick from the personalized recommendations on Google Play, YouTube, Hulu Plus, and other apps that appear automatically in your home screen. Additionally, Android TV now comes with your Google Assistant built in. Just say “OK Google,” or press the mic button on your remote to quickly find the latest blockbuster, check the score of the big game, or dim the lights — all without leaving what you’re watching.